The mail purpose of this box is to control all Infra Red (IR) devices with a computer. In my case this will be a computer with Homeseer 2. Because all of my equipment is placed in a closed TV closet I am using the 6-way External IR Transmitter to control those devices. To control my TV which is mounted on the wall I use the External High-power IR Blaster. 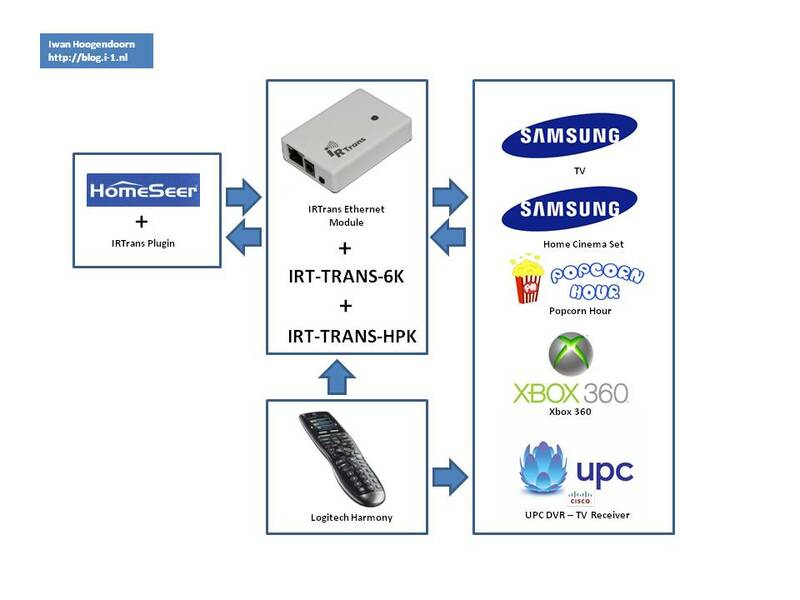 Below you will find the illustration how the IRTrans is working and how I am using it.